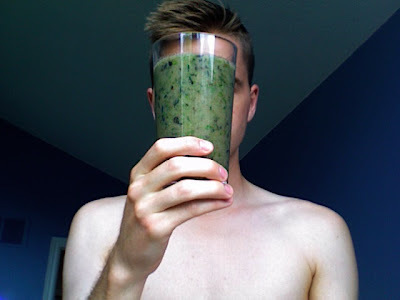 cleansing and clarifying: Blue kale. This one turned out to be super thick, and therefore super interactive. If you turn it on its side, it takes a while for the "liquid" to catch up, or to remember to pour out of the cup. I actually don't mind it at all! This is because it's not gardenish or dirtish in flavour at all. It's quite exotic.